TriStar Pictures released photos of the two-time Oscar winner as Fred Rogers on what would have been Rogers' 91st birthday. 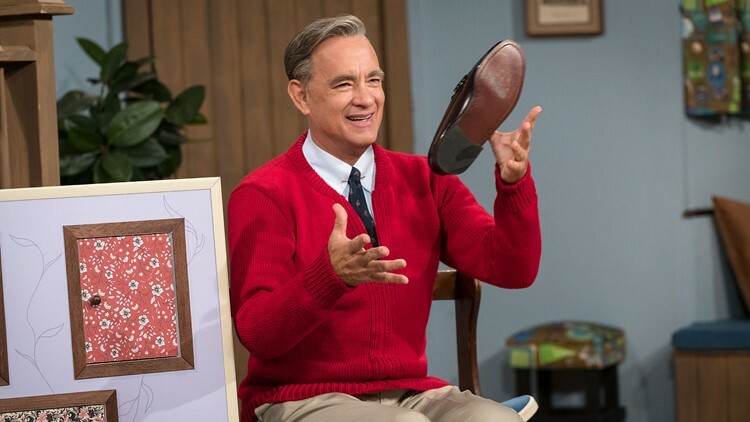 Tom Hanks looks like the spitting image of Mister Rogers in photos released by the studio producing the new biopic "A Beautiful Day In The Neighborhood." The photos were released Wednesday on what would have been Fred Rogers' 91st birthday. One photo shows Hanks in Rogers' signature sweater tossing a shoe into the air inside his house. Tom Hanks stars as Mister Rogers in TriStar Pictures' "A Beautiful Day In The Neighborhood." Another shows Hanks sitting on the steps of a production trailer wearing the sweater and a blue pair of sneakers. 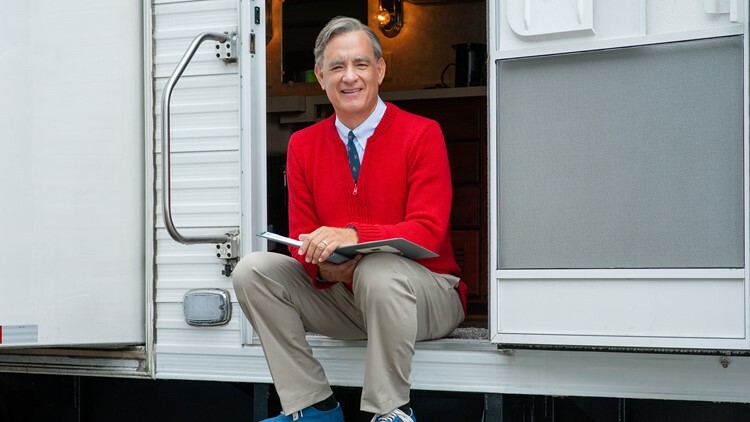 Two-time Oscar-winner Tom Hanks portrays one of America’s most cherished icons, Mister Rogers, on the set of TriStar Pictures' "A Beautiful Day In The Neighborhood." A third shows Hanks interacting with Matthew Rhys who plays journalist Tom Junod. 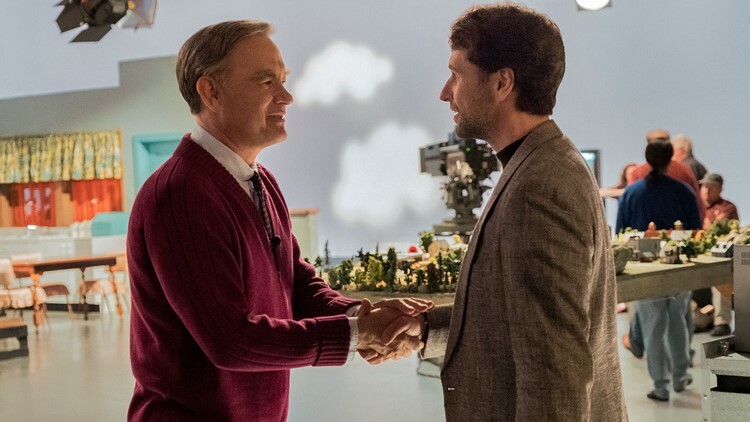 Mister Rogers (Tom Hanks) meets journalist Tom Junod (Matthew Rhys) in TriStar Pictures' "A Beautiful Day In The Neighborhood." TriStar Pictures describes the film as "a timely story of kindness triumphing over cynicism, based on the true story of a real-life friendship between Fred Rogers and journalist Tom Junod. After a jaded magazine writer is assigned a profile of Fred Rogers, he overcomes his skepticism, learning about empathy, kindness, and decency from America’s most beloved neighbor." "A Beautiful Day In The Neighborhood" is set to be released November 22, 2019.